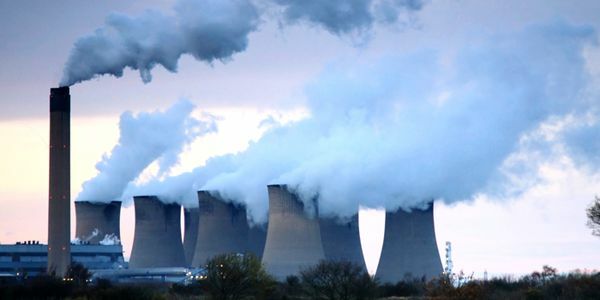 petition: No public funds for the Drax power station in the UK! No public funds for the Drax power station in the UK! Drax plc is planning to build the UK’s first new coal power station since 1974 and they could receive hundreds of millions of pounds in public subsidies for doing so. Drax’s existing power station already burns more coal than any other plant in the UK and it also burns more wood than any power station in the world, a significant proportion of it sourced from clearcut biodiverse hardwood forests in the southern US.. The government has already awarded £50 million for a feasibility study and the White Rose Plant could get up to £900 million more of taxpayers' money as an upfront “Carbon Capture and Sequestration (CCS) Commercialisation” grant. Even with CCS, the power station would still be emitting CO2 from its smokestack and would lead to more destructive coal mining around the world. Yet bizarrely, Drax could lawfully decide to run the power station without capturing much, if any, carbon – and they may well decide to do that because capturing carbon is expensive. For the first three years, they could run it on 100% coal without any carbon capture at all. After that, they may capture 50% carbon from coal – or capture nothing and burn 50% wood with the coal (producing huge carbon emissions when cutting down forests and burning wood). Please call on the Secretary of State to give no further public subsidies to the White Rose coal power station. The government needs to know that the public does not want their money to be given to private companies for 'dirty energy' projects. We are deeply concerned that the UK government has given a £50 million grant to develop the White Rose coal power station and may grant hundreds of millions more for it to be built. This would be the UK’s first new coal power station since 1974. It would mean more CO2 emissions from burning coal and more carbon intensive, polluting and environmentally destructive coal mining around the world. Although classed as a “CCS” power station, Drax could legally run it fully on coal without any carbon capture for three years and thereafter they could capture as little as 50% of the carbon – or none at all if they decided to burn 50% wood with the coal (regardless of the carbon emissions associated with burning wood). Other companies have tried the technology which Drax wants to use on a small scale and found it not be economically viable because of the large amount of energy needed to capture carbon. Public subsidies must not be spent on locking the UK into further coal-burning. Please help us to make sure that DECC gets the message! On Thursday 18th June we're handing our petition in to the Department of Energy and Climate Change – please join us from 8:30am at 3 Whitehall Place, London, with Rosie, our giant inflatable white elephant, to say no to Drax's new power station. If you haven't done so already, please share this petition with your friends so that it can have the maximum impact!